The Book Festival 2018 will take place at the National Library of Vietnam from April 19 to 22, with various activities honouring the role of books in society. The event will feature talks by established Vietnamese researchers, poets, and writers, and an awards ceremony for the National Book Awards, which saw the competition of hundreds of books by many publishing houses across the country. The highlight of the festival will be an exhibition on documents explaining the role of books and knowledge in life, as well as an introduction of tips for effective reading, publications on the life and careers of established scientists, and revolutionary inventions that changed the world. Children visiting the festival will have an opportunity to take part in a photo contest on Hanoi, a storytelling competition in Vietnamese and English, and a contest on guessing book titles. 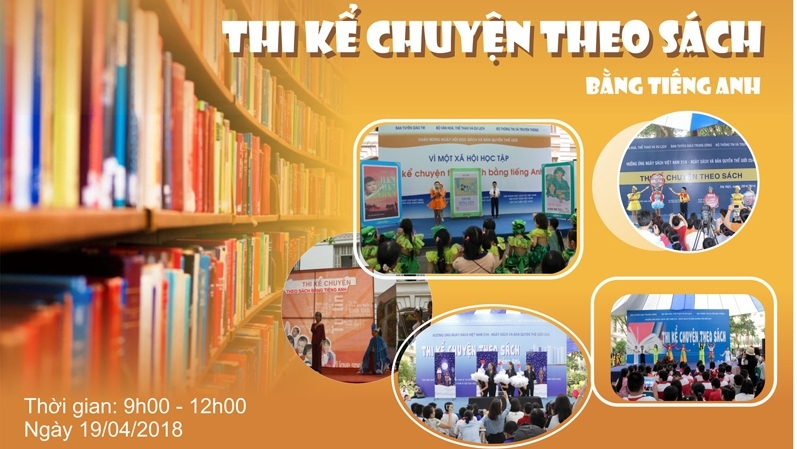 The event is among the activities hosted by the National Library of Vietnam to celebrate Vietnam Book Day (April 21) and the World Book and Copyright Day (April 23). It also seeks to honour authors and those who work in the publishing and distribution sector.